Iraq’s parliamentary speaker has called for a government inquiry into air strikes on a town controlled by ISIL, amid reports that dozens of people, mostly civilians, were killed. The ISIL-affiliated Amaq news agency released a video showing what it said was the aftermath of the attacks in al-Qaim, near the Syrian border. It blamed Iraqi planes, saying at least 120 civilians died. Burning white minibuses could be seen on a wide main road lined by shops, as well as corpses, some charred and others bloodied, and the bodies of several children. Many buildings had been wrecked. Iraq’s joint military command confirmed its aircraft had carried out missions on Wednesday but rejected claims of dozens of civilian deaths as a ‘fake story’ from the so-called Islamic State group. It said that, based on accurate intelligence, it targeted buildings where around 50 terrorists and suicide bombers, all foreigners, were sheltering and that the air force took great steps to protect civilians. 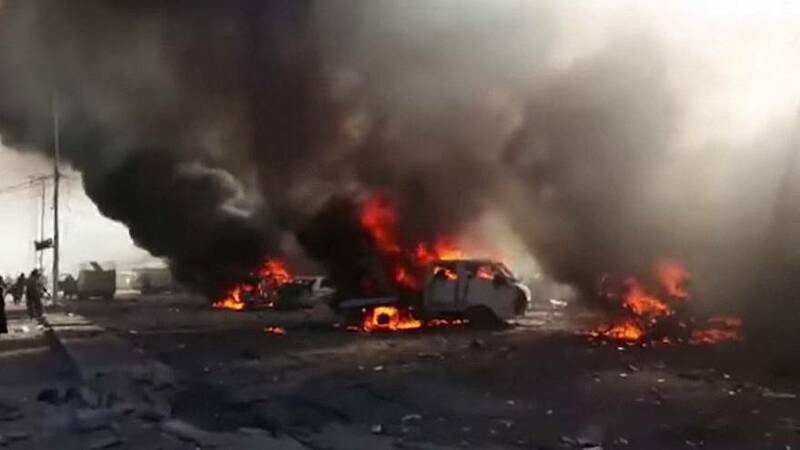 But parliament speaker Salim al-Jabouri, the most senior Sunni Muslim politician in mainly Shi’ite-ruled Iraq, said the air strikes targeted “civilian shopping centres, causing the martyrdom and wounding of dozens”, and called for the perpetrators to be punished. “The speaker holds the government responsible for such mistakes, asking them to open an immediate inquiry to find out the truth of the incident and to guarantee that civilians are not targeted again,” his office said. Qaim, and the western province in which it is located, is overwhelmingly Sunni Muslim. The town lies on the Euphrates river, northwest of Baghdad, part of a remote region near the Syrian border which remains under the control of ultra-hardline Sunni Muslim ISIL fighters.